TransMORGrifier takes everything you know and love about old analog stompbox compressors, and adds some nice modern improvements to the tonal equation. Meaning, you can get the squish and the squash without having to sacrifice the natural body of your core tone. From transparent studio-like comp tones to overly compressed vintage chicken-picking tones, and anywhere in between. You’ll find it all in the TransMORGrifier! 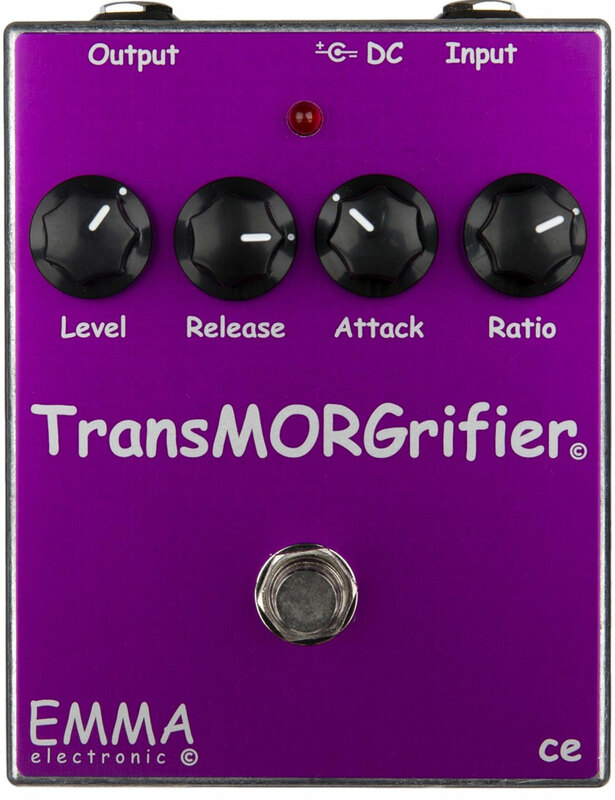 The secret to the TransMORGrifier’s superb tones and versatility is the highly transparent circuit it’s built on and the ratio knob. The ratio knob allows you to go from subtle to over-the-top compression in seconds flat, all while inflicting minimal coloration to your original tone. So whether you just want to level things out a bit and add some subtle sustain or you wanna go all-in on cowboy hats, telecaster-twang and chicken-picking, the TransMORGrifier’s intuitive control set will take you there with ease.